Dig Deeper Into The Nature Of Virgo!  Committed and obliging Virgos show great consideration for people around them. However, their intent attention to details can bring fierce anger if things are not done exactly as they planned. Everybody should watch out for that look on Virgo’s face wishing them an immediate and painful death. Killing may not be on the agenda, this look leaves no doubt that everything is done utterly wrong. Another peculiarity that all Virgos share is a complete inability to tolerate other people’s anger. Even if Virgos are the ones to blame, they will have a hard time accepting it. In their opinion, the perfection and precision of their character cannot evoke such feelings.